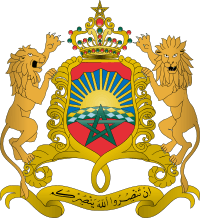 King Hassan II (Arabic: الحسن الثاني‎‎, MSA: (a)l-ḥasan aṯ-ṯānī, Darija: el-ḥasan ett(s)âni); 9 July 1929 – 23 July 1999) was King of Morocco from 1961 until his death in 1999. He was the eldest son of Mohammed V, Sultan, then King of Morocco (1909–1961), and his second wife, Lalla Abla bint Tahar (1909–1992). There were several controversies during his lifetime. King Hassan was educated at the Imperial College at Rabat, and earned a law degree from the University of Bordeaux. In 1965, Hassan dissolved Parliament and ruled directly, although he did not abolish the mechanisms of parliamentary democracy. When elections were eventually held, they were mostly rigged in favor of loyal parties. This caused severe discontent among the opposition, and protest demonstrations and riots challenged the King's rule. A US report observed that "Hassan appears obsessed with the preservation of his power rather than with its application toward the resolution of Morocco's multiplying domestic problems." In the early 1970s, King Hassan survived two assassination attempts. The first, in 1971, was a coup d'état attempt allegedly supported by Libya, organized by General Mohamed Medbouh and Colonel M'hamed Ababou and carried out by cadets during a diplomatic function at the King's summer palace in Rabat during his forty-second birthday party. Important guests, including the Belgian Ambassador Marcel Dupert, were placed under house arrest, and the King himself was taken to a small pavilion. Rabat's main radio station was taken over by the rebels and broadcast propaganda stating that the King had been murdered and a republic founded. The coup ended the same day when royalist troops took over the palace in combat against the rebels. It was subsequently claimed by the Moroccan authorities that the young cadets had been mislead by senior officers into thinking that they were acting to protect the king. On 16 August 1972, during a second attempt, four F-5 military jets from the Royal Moroccan Air Force fired upon the King's Boeing 727 while he was traveling back to Rabat from France, many bullets hit the fuselage but they failed to bring the plane down. Allegedly, the King himself hurried to the cockpit, took control of the radio and shouted: "Stop firing you fools, the Tyrant is dead!" Eight people were killed when the jets strafed the awaiting reception dignitaries. 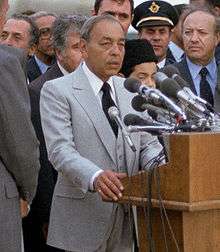 General Mohamed Oufkir, Morocco's defense minister, was the man behind the coup and was officially declared to have committed suicide after the attack. His body, however, was found with several bullet wounds. During his reign, Morocco recovered the Spanish-controlled area of Ifni in 1969, and militarily seized two thirds of Spanish Sahara through the "Green March" in 1975. The latter issue continues to dominate Moroccan foreign policy to this day. Relations with Algeria have deteriorated sharply due to the Western Sahara affair, as well as due to Moroccan claims on Algerian territory (Tindouf and Bechar), which unleashed the brief 1963 Sand War. Relations with Mauritania were tense too, as Morocco only recognized it as a sovereign country in 1969, nearly a decade after Mauritania's independence, because of Moroccan claims on the country (see Great Morocco). Hassan died of natural causes; he was in his birth town at the age of 70 on 23 July 1999. A national funeral service was held for him in at Rabat, Morocco, with over 40 heads of state in attendance. He was buried in the Mausoleum of Mohammed V in Rabat. The coffin of King Hassan II, carried by King Mohamed VI, his brother Prince Moulay Rachid and his cousin Moulay Hicham, was covered with a green fabric, in which the first prayer of Islam, "There is no god but Allah", is inscribed in golden letters. Lalla Amina, born on 8 April 1954 in Antsirabe , died on 16 August 2012 in Rabat (from the third marriage of Mohammed V of Morocco, with Lalla Bahia, died on 3 September 2008 in Rabat). ↑ "Morocco 'Facebook prince' pardon". BBC. 19 March 2008. Retrieved 4 May 2010. ↑ Byrne, Jennifer (11 July 2001). "Interview with Malika Oufkir". Foreign Correspondent. ABC News (Australia). Retrieved 5 August 2014. ↑ Victoria Brittain (2 July 2001). "Ben Barka killed with French help". London: The Guardian. Retrieved 19 October 2010. ↑ Hamilton, Richard (13 January 2007). "Laughter, freedom and religion in Morocco". BBC. Retrieved 4 May 2010. ↑ George Joffé. "Morocco". Britannica. Retrieved 19 October 2010.